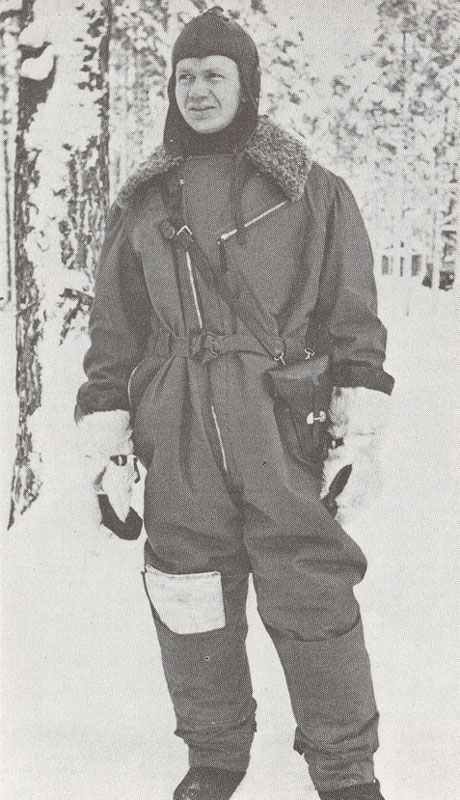 Wearing a winter flying-suit and fur mittens, this Finnish aircrewman is very good equipped. But the cold was such that very few sorties could be flown and action was rare for the flyers. Finland: Finnish Blenheim bombers raid Kronstadt naval base, near Leningrad (today St Petersburg). Russians bomb Oulu, northwest Finland. North Sea: RN destroyer Exmouth sunk with all hands by U-22. Pacific – Asam Maru Incident: Japanese liner Asama Maru stopped by cruiser HMS Gloucester and 21 German technicians removed. Japan protests and demands return of Germans (February 1). British White Paper on subject, February 6. Nine Germans handed over on February 29. Britain: Government rejects US protests concerning examination of mail carried aboard US merchant ships. Britain: Duke of Windsor (who, as Edward VIII, abdicated in 1936) takes leave after five months’ tour of duty with BEF. Sino-Japanese War: two former associates of Wang Ching-wei, head of Japanese-controlled ‘puppet’ government at Nanking, publish text of agreement, signed by Wang, giving Japan total political and economic dominion in China. Wang issues strenuous denial. Italy: Italian liner Orazio catches fire off Barcelona (104 dead); French destroyers rescue survivors. USA: Vatican radio broadcasts to USA on Nazi terror campaign against Catholic clergy in Poland.